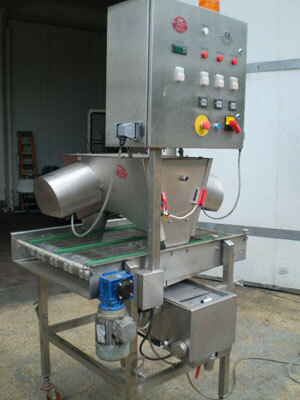 If you are looking for high quality, working used food machinery then you have come to the right place- before you look elsewhere take a look at the products that we have in stock here at Food Machinery. We provide a wide range of used food machinery for a variety of different food processing environments including meat, fish, bakery, refrigeration and vegetable processing. Not only do we provide food machinery to process the food we can also provide you with high quality weighing and packaging machines to ensure that everything goes to plan. We regularly have special offers on many of our products here at Food Machinery Online, you may find a bargain. Food Machinery Online is able to deliver worldwide, whether you are in the USA, Norway or Canada or even the UK, we can supply your used food machinery products to be delivered where ever you are. We can deliver anything from a single container all the way up a huge 40ft container. You will find that we can send our used food machinery products by air, sea and land. Not only do we sell high quality used food machinery, we often have spare parts from many other machines that can be purchased to replace any non working machines in your current machines. If you have any questions or enquiries about any of the products that we provide here at Food Machinery Online, then we would advise you to get in contact with one of the team as soon as possible, getting in touch couldn’t be any easier. Once you find the product that you are looking for on our website press the enquiry button and fill in all of your details and one of the team will be more than happy to contact you to answer all the questions you have.